My name is Komilla Chadha and I have created this website in order to provide free A-level video tutorials and notes. Most of the material covered is economics and religious studies, however, geography and english AS-level material is also covered. 1. Belief; I am a strong believer that the key to creating positive change in the world lies in education. 2. Empathy; I was not always the top of my class. As a child, I suffered with a health condition which left me at times struggling . It can be quite lonely when a topic is taught and everyone in the class understands but you. So by creating video tutorials, I hope to connect with students in a way that they feel happy to learn at their own pace. As I have finished studying now (I went on to do a masters in Real Estate & the GDL at law school), these days I tend to do blog posts about lifestyle related topics on my blog. I hope you enjoy and benefit from this website! PS – please note I am in the process of moving material over from older blogs. Your videos are helpful and informative Komila. They`ve been useful in helping to make complicated legal matters a bit easier to understand! Thanks for taking the time to make them and Good Luck! what university you go to now? Hi, I find your videos on unincorporated associations very helpful. Would like to see if you would let me know something about the possibility of unincorporated society to be sued or not. I joined a school and was injured badly unjustifiably by the instructor. Now suing the instructor and the school (a society). However, the defendants’ counsel argue that the society is an unincorporated association, not a legal entity, cannot sue or be sued. he has raised several law cases to support it. Would like to know if that is true or not? and if so, are there any exceptions to what the defendants are saying about an unincorporated association, not a legal entity, cannot sue and be sued? Appreciate your help! Thank you. Thank you for your comment. I am sorry, I am not sure on that, but I will have a read around and let you know if I find anything. hi! just wondering what the turn out of your case was as I’m looking into UAs. But considering your case is regarding injury, you should be claiming in tort for negligence or bodily harm? As you said, UA has no legal entity, but the instructor however, is an individual with membership. So disregarding his membership, you should claim against him on an individual basis? How does a fiduciary of a private trust extinguishes debt in the public? You keep making reference to a theft video but I don’t see it anywhere, would you be able to upload it? Wonderful, inspiring’s teaching. My tort lecturer never articulated the way you’ve done it. thank you for your videos they are really helpful..
Hi Komilla, thanks for your videos they have gone a long way positively for me. Please I have a question and will be glad if you can give a reply “what laws regulate exclusion clauses” under what category (business to business contracts, business to consumer contracts) does each one fall. i would like your tutorial on trust law. I have your site saved as a bookmark, it has been most helpful. I was wondering if you had anything on Environmental Law that you could share with me. I can keep checking your site or you can email it to me. 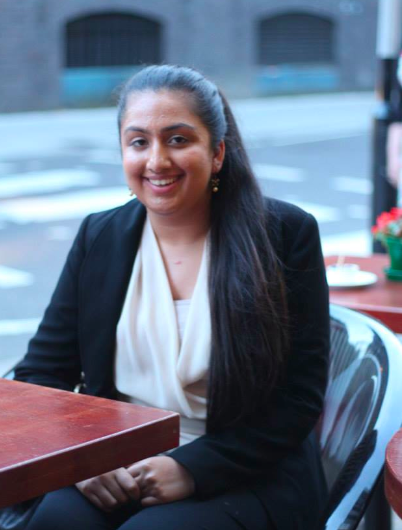 Hi, Komilla, I had just come across your videos on YouTube on manslaughter and I was looking for quite some time for someone who can make me understand certain areas in the UK law. I am not a UK citizen and I do not live in the UK, however I am actively involved in helping my best friend’s family who had lost a member of the family due to an act of Involuntary Manslaughter. I could really use speaking to you in a private environment. Please, do let me know how and when would it best to discuss this issue. Hi Komilla, I have been viewing your videos about trusts. You present well and make the subject easy to follow. Thank you for your sharing your knowledge. Hi Komilla, I have been viewing your videos about trusts. You present well and make the subject easy to grasp. Thank you for sharing your knowledge.